Effectively removes all dirt, dust and sanding residue prior to painting. 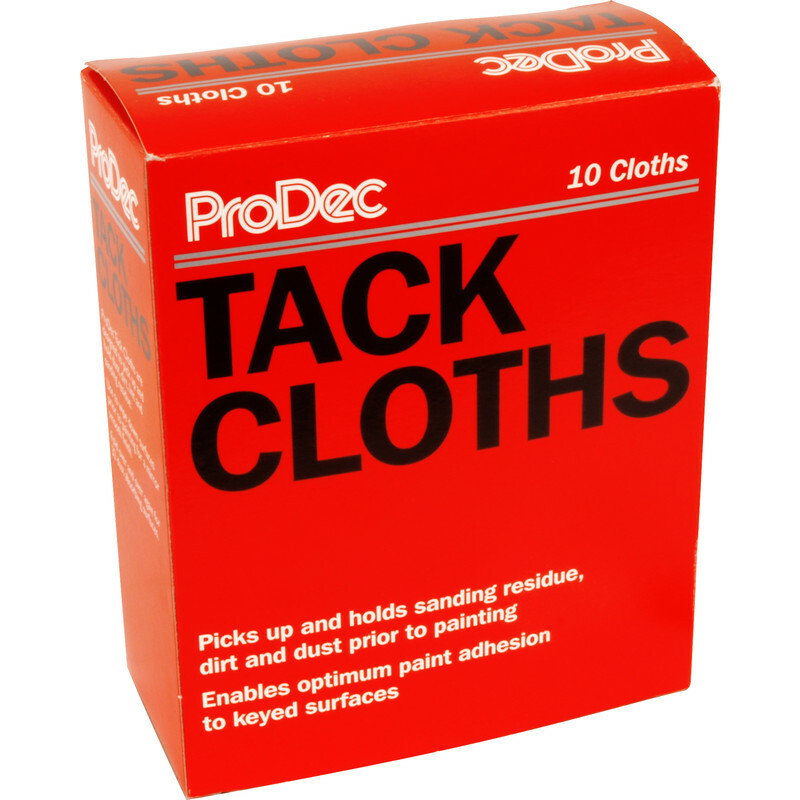 Prodec Tack Cloths (10 Pack) is rated 4.4 out of 5 by 16. Rated 5 out of 5 by Woodchairwizard from Tack cloth Bought these for cleaning in between paint coats. Absolutely fantastic product. Would highly recommend to anyone. Rated 5 out of 5 by cavershamG from Does what it says Bought and used for a week now - good performance and price cann't go wrong.